Wild About Movies provides you the most up-to-date 2012 Movies information online. Our list of movies in theaters in 2012 is even more accurate than the IMDB database. Click on any of the 2012 movie posters images for complete information about all 2012 movies in theaters, including trailers. We provide the complete list of 2012 movie releases by week of release. Most popular actor at 2012 movie box office: Channing Tatum (The Vow, Magic Mike, 21 Jump Street). The only actor to headline three $100+ million movies in 2012. +Movies that are released on Video-On-Demand the same day or anytime before they are released in theaters, without an Oscar qualifying theatrical run, are not theatrical releases, (and never able to be considered for Oscar consideration), and are not featured on this page or on our website. 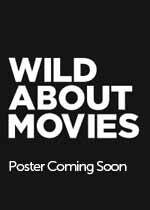 Additionally, movies that do not have the capability of earning a minimum of $250,000 at the U.S. movie box office are not featured on Wild About Movies. The Great Gatsby remake, starring Leonardo DiCaprio, was originally penciled in for a Christmas 2012 release. It was moved back to a May 2013 release date. GRAB COPIES of the above The Hobbit posters at IMAX theaters on opening night - CLICK HERE for info.